The Arthurian diorama for the wrist. 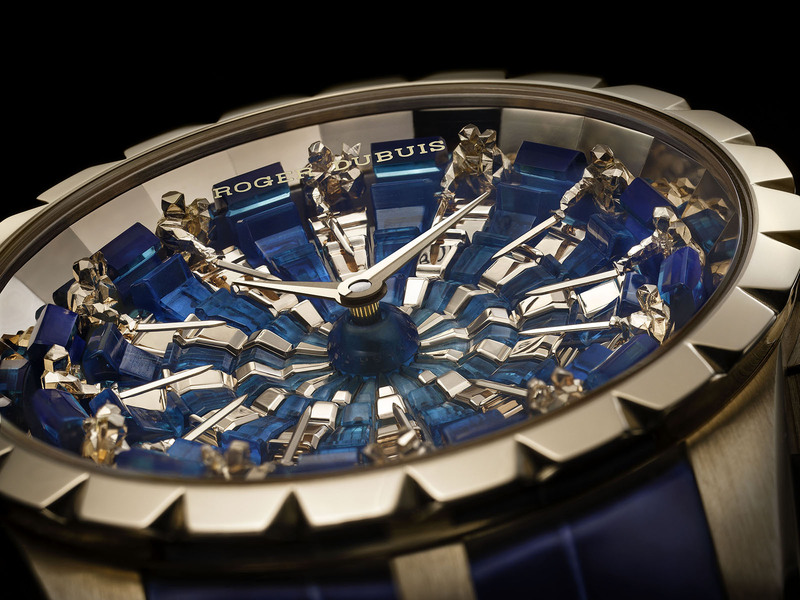 The third instalment in Roger Dubuis’ inventive series of watches that draw on the legend of King Arthur and his round table, the Excalibur Knights of the Round Table III is the most avant-garde of the trio. While the earlier editions featured 12 engraved and almost photorealistic bronze knights sitting on a black jade dial adorned with Celtic motifs, the new edition is decidedly more futuristic. The knights are designed in “low poly”, a technique used in 3D modelling that relies on a smaller number of polygons to create faceted, and almost minimalist sculptures. Each knight is cast in gold, engraved and then hand-finished. 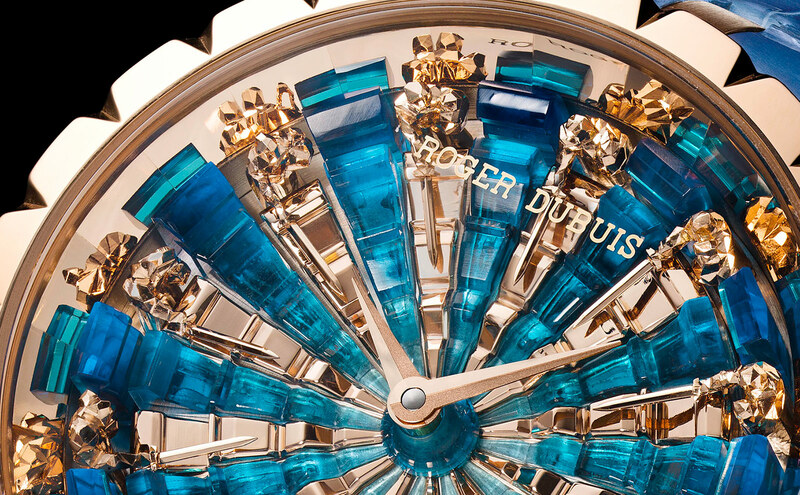 The table on which the knights present their swords is crafted from solid, wedge-shaped blocks of blue enamel alternating with pink gold inlay, and the entire dial takes some 45 hours to complete. 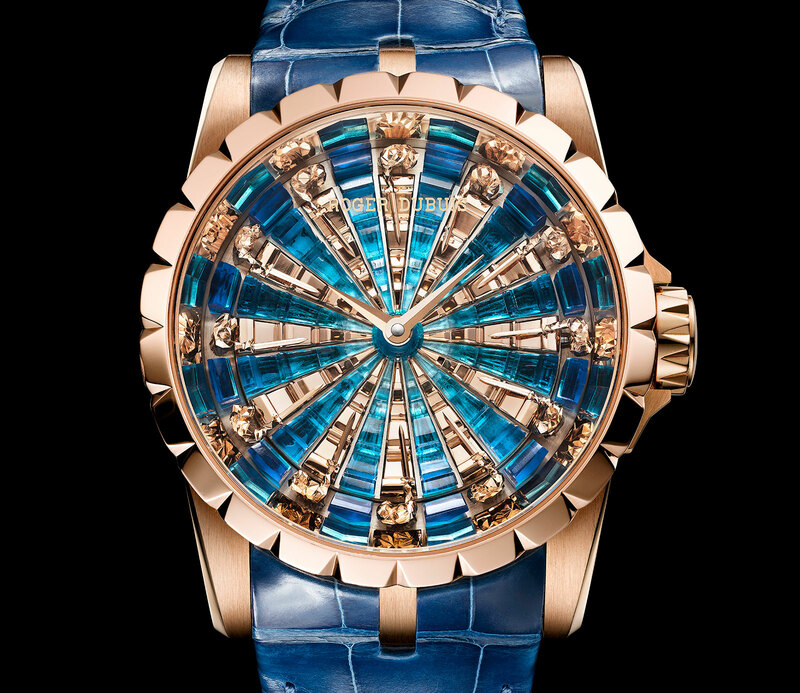 The watch is equipped with the self-winding Calibre RD 821 and bears the Poinçon de Genève quality hallmark. 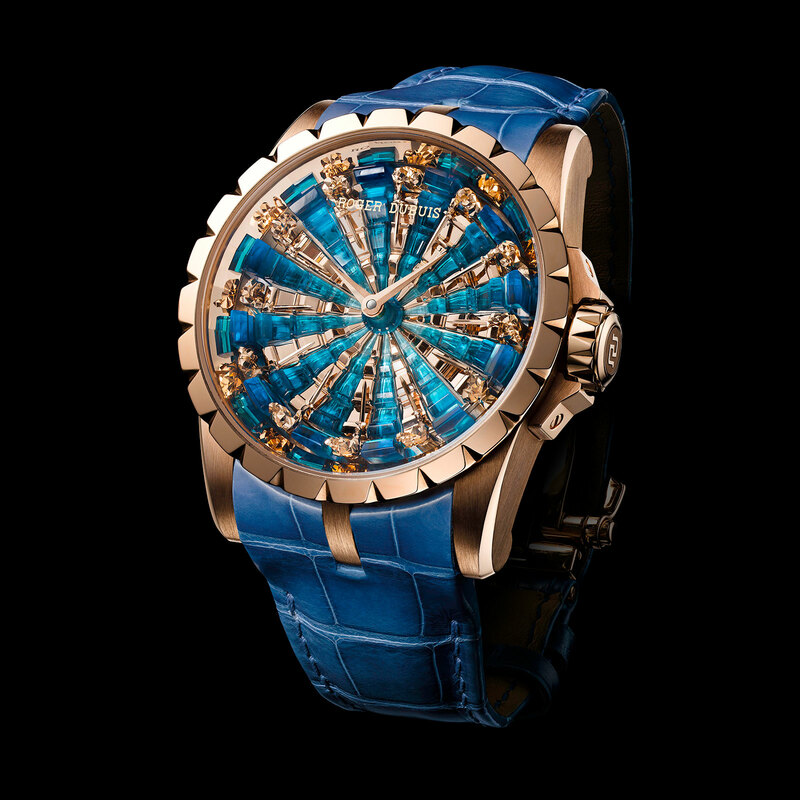 The Roger Dubuis Excalibur Knights of the Round Table III is a limited edition of 28 pieces, priced at SFr285,000 or S$388,000.